Another day, another review! 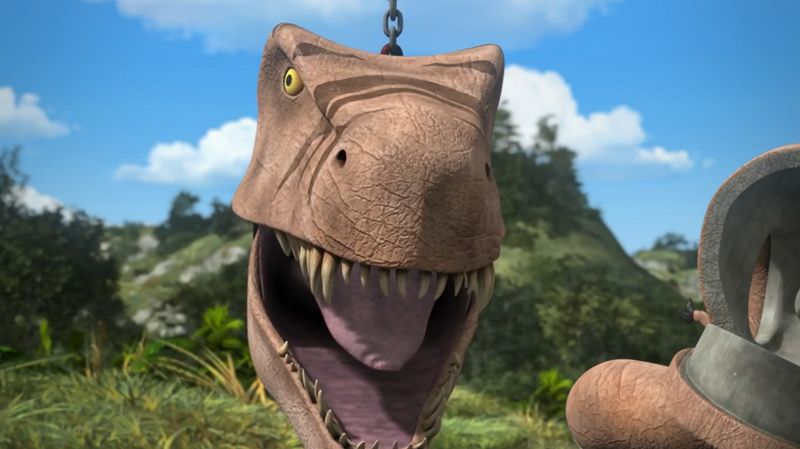 Yes, these are being done daily to ease the pressure on me to get them out and so I can review each Dinos and Discoveries episode as best I have done for the previous episodes of the series. 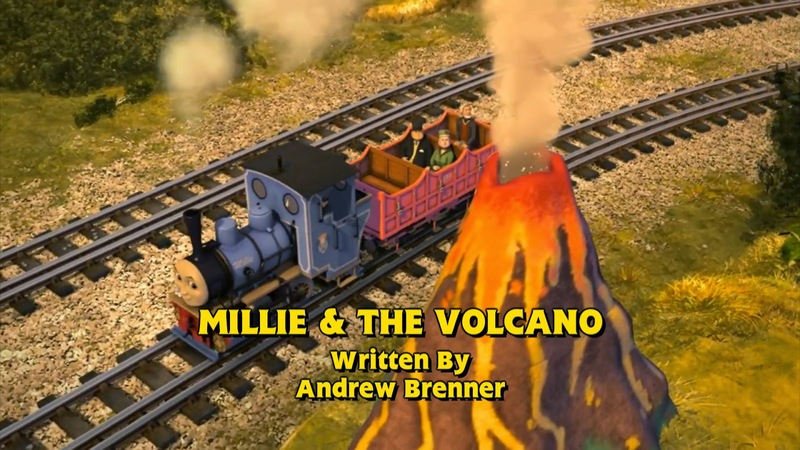 Anyway, Millie and the Volcano! This episode really made me connect with Millie, and it actually made me hate Rosie and Flora even more - but I digress. 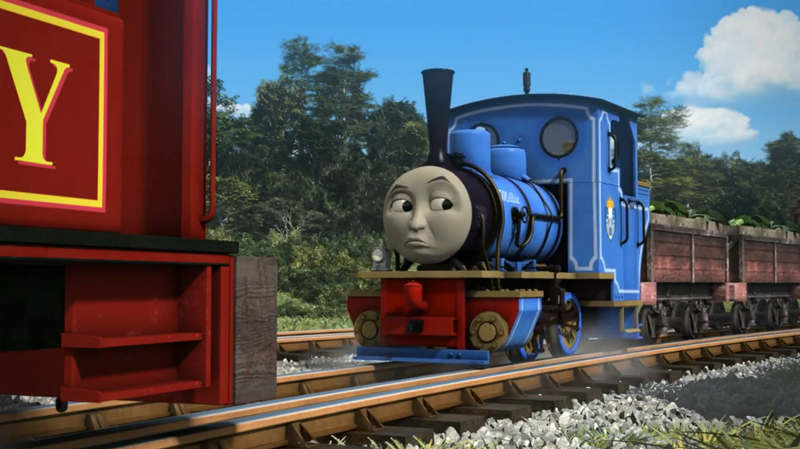 Whether it's due to her picking up tips from her short stint at the quarry in The Switch or because she didn't want to be belittled by a bigger engine, I love her feisty nature here. Then there's Samson, who I can actually relate to here. I'll admit it, I hate being wrong. I'll sometimes argue that I'm right, even if I'm not, and I'll beat myself up (not literally) over something I got wrong. It's also very interesting that they're gradually introducing new aspects of his character with every appearance. His arc feels like a Railway Series book come to life in this respect. Another thing I can relate to is Millie's attitude when Samson tried to belittle her. Yeah, I really don't like feeling belittled either, though that doesn't excuse when I do the same to others. As for the actual plot, there's... not much to it, really. 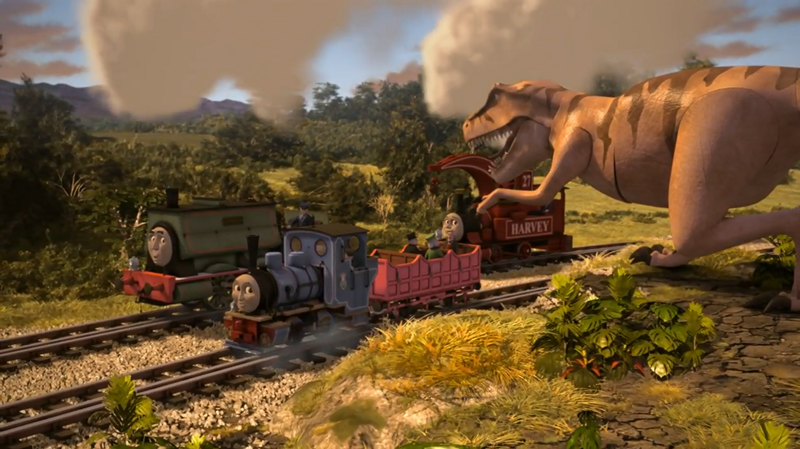 It's just Samson and Harvey helping to build the dinosaur park while Millie tries to get her own back on Samson. It's very basic, in that sense, but I wouldn't go as far as to say it was "boring". That said, it is rather flawed. The main thing that I'm wondering is where did the volcano come from? 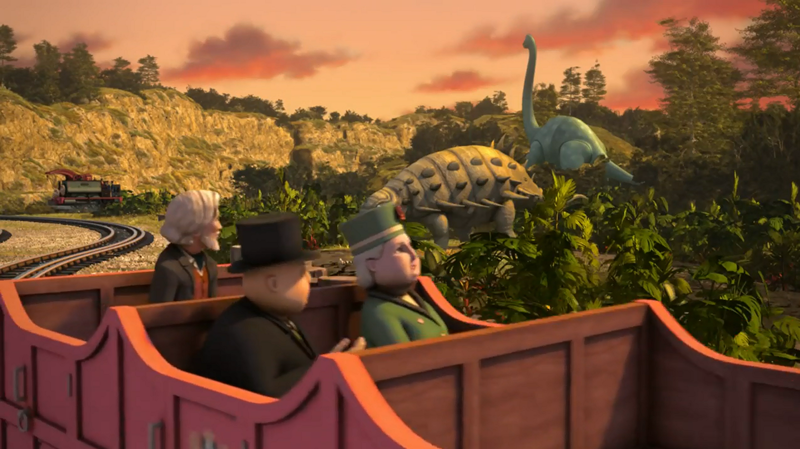 It's stated that Samson had never been to Sodor before so he couldn't have delivered it before bringing the dinosaurs, and there wouldn't have collected it after since there wouldn't have been time to fetch it. 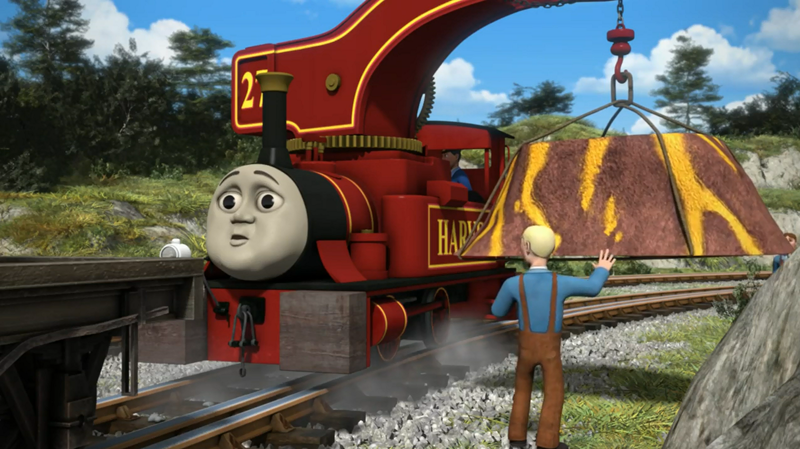 Wouldn't it have been easier to add it to Samson's train in a few vans? It would have been more logical, and it wouldn't have created so much confusion! Oh, and a slight nitpick here, but volcanoes still exist today. 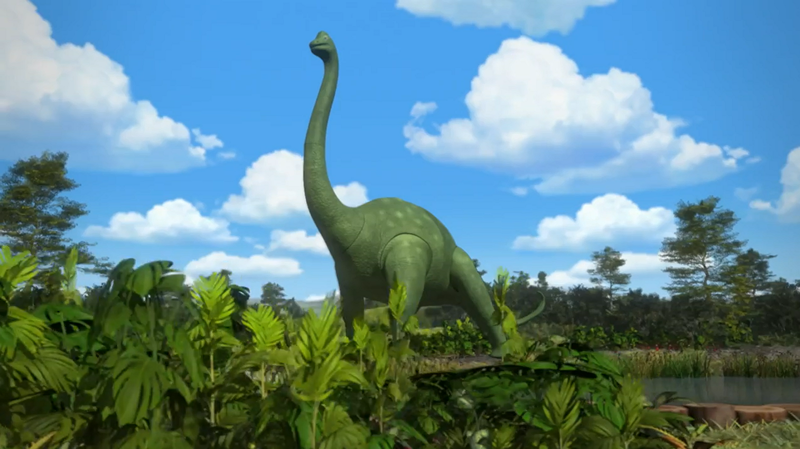 They weren't exclusive to the periods of Earth's life in which dinosaurs lived. Then, there was the fire. Why? 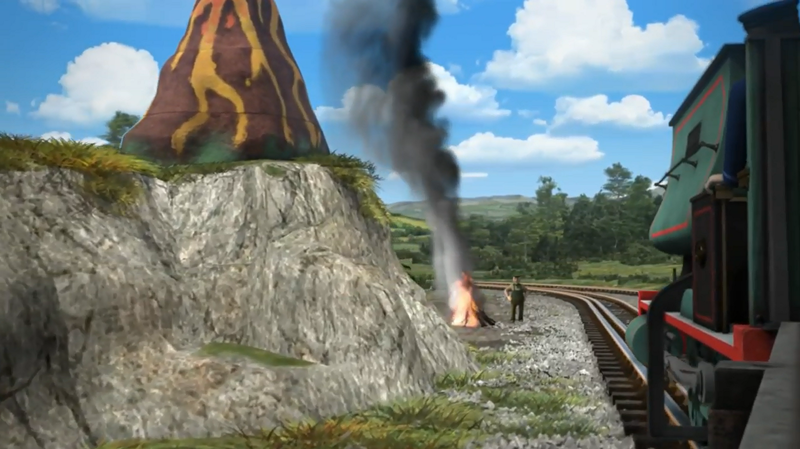 I know the smoke coming from it would look more real, but did no one think of the consequences of what might have happened? A strong gust of wind could have torched the grass or the railway sleepers, which would have severely disrupted the Earl's plans or, worst case scenario, destroyed them completely! I wouldn't complain so much about it if it wasn't an Andrew Brenner episode. He was head writer for Fireman Sam for a period of time and he also wrote Too Many Fire Engines. There is no excuse for one of his episodes to be this lackadaisical about fires! Also, how does the volcano actually work? That could actually have been a better way for Millie to get her own back and get some more interaction than what we had here! Off the top of my head, Millie delivers more plants and whatnot, when she sees some electricians around the site of the volcano. They tell her what they're doing and how the smoke machine (I'm guessing that's what's used) works. They reveal it hasn't been tested yet, so she gets the idea to test it on Samson and Harvey. It would have answered questions, it would have made sense, and it wouldn't have been as dangerous! 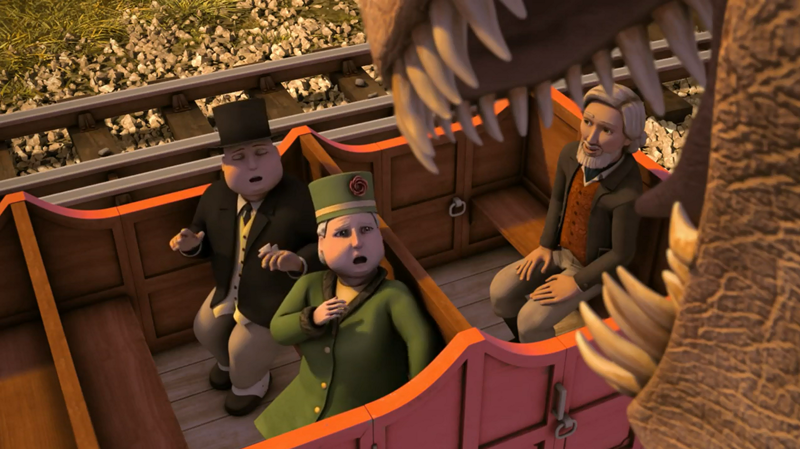 The ending with the Earl, Sir Topham and Dowager Hatt was pretty entertaining, but... that's about it. It wasn't humorous or anything, just entertaining. Maybe it's because the other characters were very strong? I don't know; it's one of those things I feel I should like more. One thing I really found puzzling was them showing the models separate, especially since the last episode had them arranged because... reasons. Yes, I get why they were taken apart here, but why were they only taken apart here and not left separate for the actual journey? As for the rest of the episode, it's pretty standard. 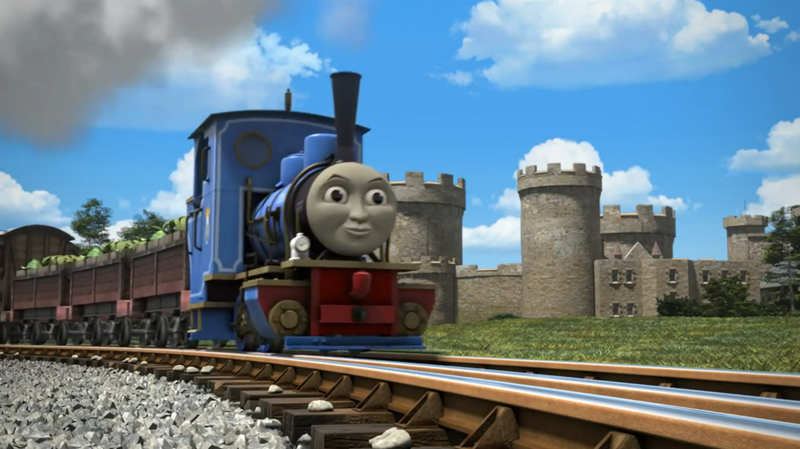 The animation was spot on, the music was good and the voice actors did brilliantly. Although the groundsman sounded a bit like Salty, which was really distracting, even though he only said one line. 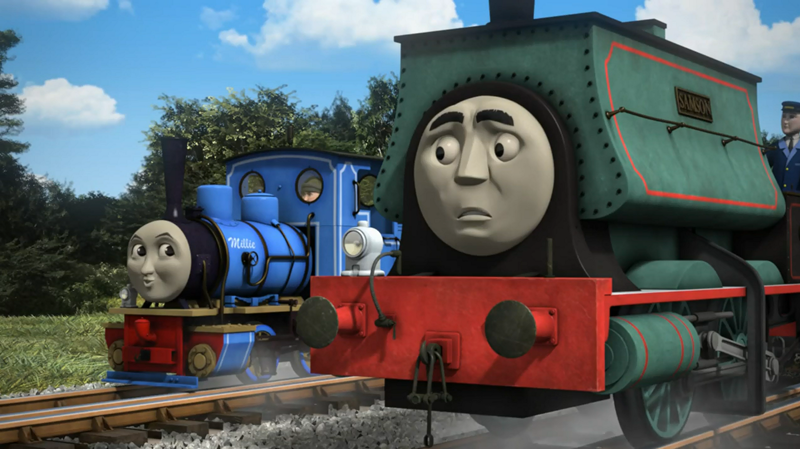 Yes, I know Keith Wickham voiced them both, and that's the problem with having one person voicing many characters. 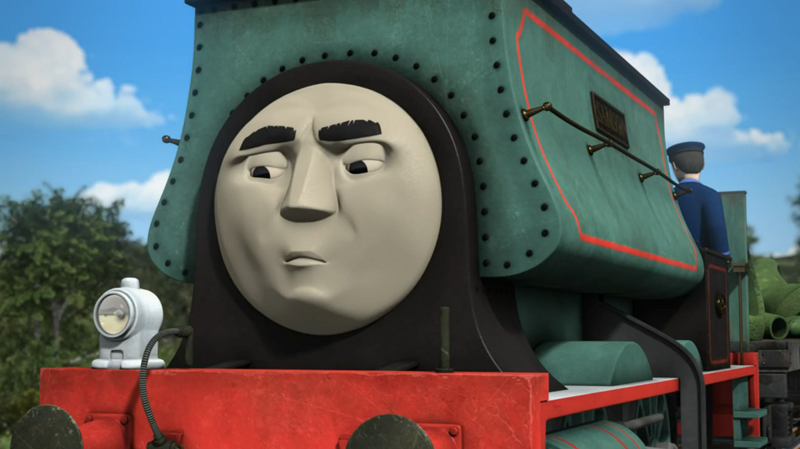 Millie, Samson and, to an extent, Harvey (he only wanted to fit in, so I can understand why he acted that way) had some great interactions, but this was, by far, Andrew's worst episode so far. And like other bad episodes recently, it could have so easily been fixed! Maybe it was because he wanted this out the door ASAP, I don't know, but I feel more effort should have gone into this one. A lot more.